National Game Design Month 2013 happened. It’s not quite over yet, but it’s basically done for me. I designed a game. I played it. I like it. The thing I didn’t do… which makes me sad… is write about it. I really didn’t share as much as I would have liked. I did Tweet a bit about it here and there… but really, I didn’t talk much. Part of this is due to personal issues, part of it is due to… well… there really was almost zero game development. The initial concept just worked as I had imagined it would. I’m not saying that I’m delusional enough to believe that I can design an awesome game in one sitting… but this one basically fell out of my head. It is a dead simple 2 player game that doesn’t need excessive playtesting. There’s quite a bit of luck involved, which means it won’t be for everyone… but I didn’t design it for everyone. This one is for Jayme. Jayme is this beautiful woman that I live with. She is also the mother of my children. We’ve lived together for 10 years and in all that time, some of my fondest memories involve gaming with her. We used to do it often, but we are both very competitive people… and after many nights of getting upset with each other, it became something we both no longer wanted to do. So, when designing a game for Jayme, I decided it needed to have enough randomness that neither of us would really dominate the other. 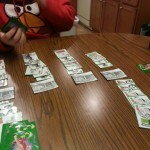 It also had to be themed around something she enjoys… zombies is the obvious choice. Dead Woods puts the players in control of the zombies as they descend upon some unsuspecting campers. There are 4 cabins which hold groups of campers. Each turn, you will play zombies on the cabins in an effort to overrun them and claim victory. If you win control of 2 cabins, you win the game. There are also a few human cards you can play to mess with your opponent. The “secret sauce” of this game… my unique twist to traditional games… is that there is no limit to the number of cards you can play on your turn and there’s no “cost” to play each card. 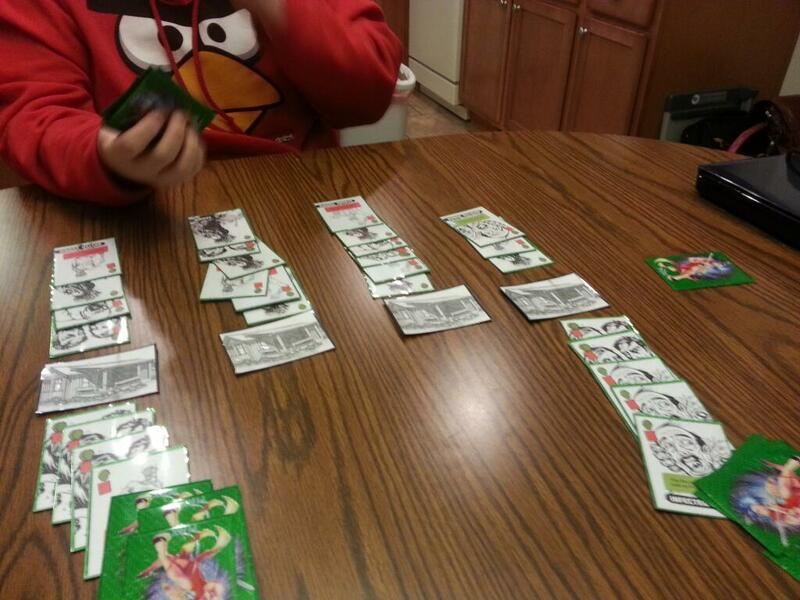 The control mechanism I implemented is that each card you play allows your opponent to draw a number of cards. There is no inherent draw mechanism such as “At the Start of your turn, draw 2 cards” so the only way that your opponent is going to draw cards is by you playing. You are free to play out your entire hand, but that’s going to give them a huge card advantage. Other than that, the game is a simple little math game. I play zombies on one of the 4 cabins, you play zombies there as well. If either of us ever have 5 zombies more than our opponent, we win that cabin. When you play zombies, they are played face down. At the start of your next turn, you reveal your zombies and place them on the cabin they were played behind. This system allows for a bit of bluffing and keeps the game from being just a simple math problem. Human cards are played from your hand and do things to change the board a bit. Some cards move zombies around. Some remove zombies. One actually adds a zombie which is a great defensive card. According to the rules of nagademon.com, the idea is to make a game and play it during the month of November. Technically, I did that. I guess I can call it a success this year. Way more successful that my non-existent attempt last year… but, I had set a personal goal that I didn’t achieve. I hoped to have a completed product by the end of November. In my mind, I wanted to have a complete set of rules written, card art completed, print and play files available, and the game for sale on POD sites. I haven’t even started on the rules yet. I did very little art besides the logo design above. While there are print and play files, I’m not sharing them with the stolen artwork. Nothing has been uploaded to POD.